2-Pc. 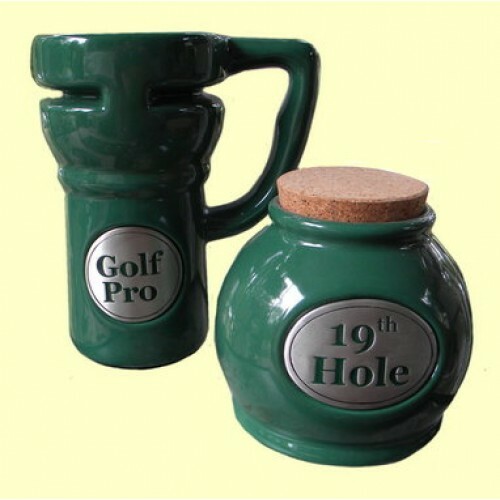 Set includes 6 1/4" H. Ceramic Travel Mug w/plastic insert lid AND a 5" H. x 5 1/2" Round Ceramic Storage Jar w/cork lid, (for the "19th Hole!") Makes a great gift for the Golfer! Add $6.00 for (1) Name--Or, $11.00 for Names on BOTH Mug & Storage Jar. NOTE: SEE OUR GOLF TOWELS (HI-5) IN SAME CATEGORY.